Worried about GRE scores? 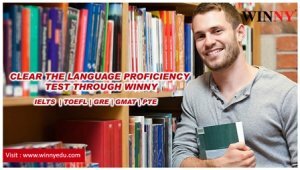 Winny is the well-known GRE coaching center in Gujarat. Faculties here, offer best coaching to their students and provide perfect training for all the tests of reading, writing, speaking and listening. We arrange special grammar session for students, group discussions and seminars so students can gain confidence for your Graduate Record Examination. For more details, contact us on our toll free number 1800-419-3242 or visit Winny Immigration and Education Services Pvt. Ltd in Ahmedabad, Vadodara, or VVnagar.